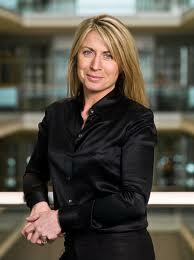 There’s a new boss in town at NBC news and she’s a Brit. Deborah Turness, has been confirmed as the new president and is the first woman to head a network news operation in the US. Turness, who will join the US giant in August after nine years running ITV News in London, is relatively unknown in the US. And with the network’s constant battle against ABC rival ‘Good Morning America’, and the recent cancellation of ‘Rock Center’ hosted by Brian Williams, it’ll be interesting to see what other changes are ahead, if any, with a Brit at the helm. The nominees for ‘Best UK Act’ at the BET Awards are always a little controversial and this year is no different. Granted most of the recipients are worthy. Both Emeli Sande and Marsha Ambrosius have had a good year, firmly securing themselves in the US market. But I’m baffled as to why Rita Ora and Wiley have been included. Apart from frequent paparazzi coverage the pair have had little exposure on US TV or in the American charts. Even more confusing is why Tinie Tempah has been left off the list completely. He became the first British rapper to achieve platinum sales status in the US with his single ‘Written in the Stars’. He’s also collaborated with Wiz Khalifa and Lupe Fiasco, toured the US and appeared on ‘The Tonight Show’ and X Factor USA. If you’re a Brit in the US you're probably more likely to bump into your favourite British star on American soil than in than the UK! It’s no secret there’s been a wave of Brit talent flooding the US over the last few years. Get ready for American satire with an English accent. John Oliver will be standing in for Jon Stewart as 'The Daily Show' host from June 10th. Oliver is no stranger to the show. The British comedian has been appearing on it since 2006 as a guest correspondent. Stewart, in the meantime, will be taking a break to direct his first feature film called 'Rosewater'. If you thought you'd escaped him in the UK, think again. 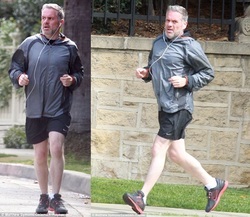 Former Radio 1 presenter Chris Moyles is currently in LA working on new ‘mystery’ projects and can frequently be seen jogging in his new neighbourhood, committed to keeping his new svelte waistline. No doubt he's pursing acting roles after appearing in Andrew Lloyd Webber's 'Jesus Christ Superstar' in London last year. 'Chris Moyles’s Quiz Night', which ran for six series between 2008 and 2012. Actress Carey Mulligan, who played Daisy Buchanan in 'The Great Gatsby' has been getting a lot of headlines lately. But she’s not the only young, British blonde you’re likely to be seeing all over US entertainment outlets soon. Poppy and Cara Delevingne are the socialite sisters who have modeled for Chanel, Burberry, Saint Laurent and others. And if the rumours are true about Poppy being in the running for the role of Anastasia Steele in the ‘Fifty Shades of Grey’ movie she’d better get ready to be hounded by TMZ!